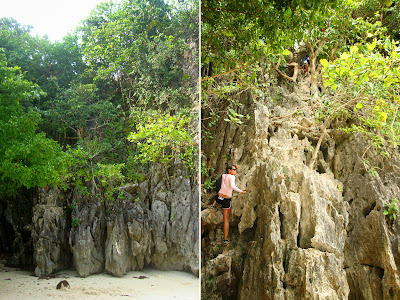 There are two island hopping tours in Caramoan: short (Php 1500) and long (Php 2000). The four islands to be visited for the short tour are just a few minutes from Paniman Beach (the jump off point for tours) and the tour can be done in just half a day. The destinations for the long tour are an hour from Paniman Beach but this tour can still be accomplished in just half a day. Maybe the tours should be renamed as near and far. 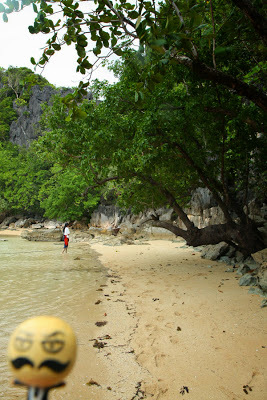 Caramoan has many islands and both tours cover just seven of the many. I was supposed to take the short tour when I arrived in Paniman Beach...but it was already late. Kuya Ramil suggested to take both tours the next day. So it is possible. I initially thought one should spend one day for each tour. For the combo tour (Php 3000), we went to the far destinations first (the spots included in the long tour) then moved closer to Paniman Beach (the spots included in the short tour) after lunch. According to Kuya Sonny, Kuya Ramil's cousin who was also the guide, when there's a Survivor shoot on Sabitang Laya, the island is kept very clean, but tourists can't step foot on the island. At the time of my visit, there were trash (empty bottles, junk food wrappers, etc.) scattered about. Tsk tsk. 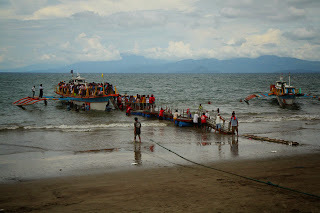 An entrance fee of Php 25 is collected on Cotivas island. Need shelter from the sun? Open cottages are available for rent. The caretaker, who lives on the island, collects the money. 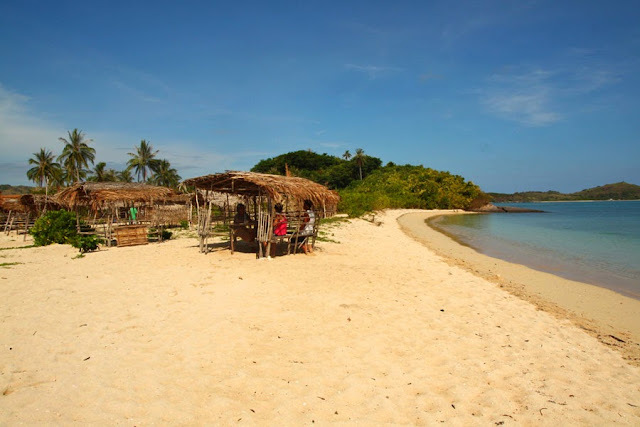 Overnight stay at Bugtong Beach on the northern tip of Lahuy island is possible. 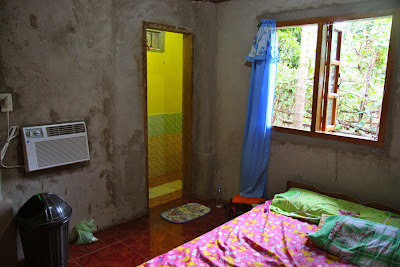 There are cottages for rent for about Php 1000/cottage. Generators run at night to provide electricity. 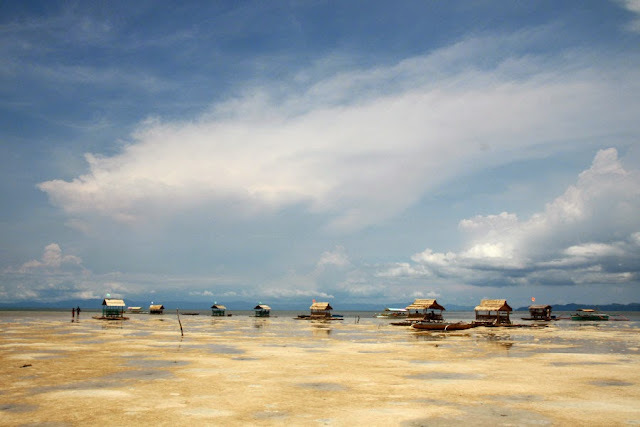 Day trippers can spend some time at this beach but must pay an entrance fee of Php 25. One can hike just a short way up on the right side of Bugtong Beach for a view of the sandbar and the sea. Photo was taken during high tide, so no sandbar for you. Can you guess where the sandbar is? The sandbar is under these floating cottages :-) That rock outcrop is where I stood to take the previous photo. It doesn't look too high, but believe me, it is. 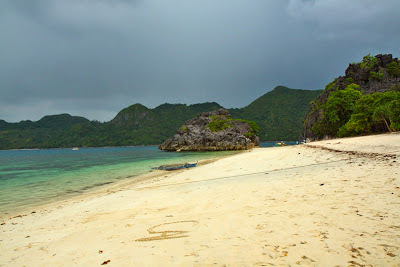 A little farther from Bugtong Beach, on the eastern side of Lahuy island, is Caramoan's largest sandbar: Manlawi. There's really nothing much to do but walk on the sandbar. Walking on Manlawi sandbar doesn't feel like you're going anywhere, it's just sand everywhere! The cottages in Manlawi (as seen on the photo below) are also for rent. After having lunch on the boat (too stingy to rent a cottage), we were off again. We spent an hour tracing our way back to get closer to the next group of islands. But before the islands, we stopped just off the mainland for a bit of snorkeling. Kuya Sonny explained that matukad means to go up or climb up. What's to climb on this island? A vertical limestone formation where arm and leg stretching is required and finding a good foothold is a must. This probably won't be a problem for people with long legs and long arms. Why go through all the trouble to climb this sharp limestone formation? 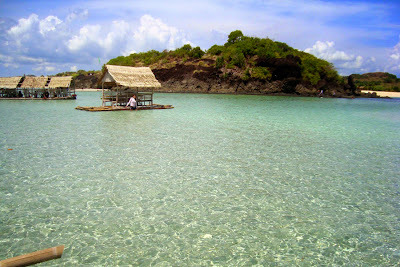 To see the lagoon hidden on the other side where one lone bangus (milkfish) swims. They say there used to be two milkfish. A fisherman speared one of the bangus, took it home, cooked it, and he and his son ate the fish. For unknown reasons his son died, then him. True or not, no one has attempted to take the last bangus. 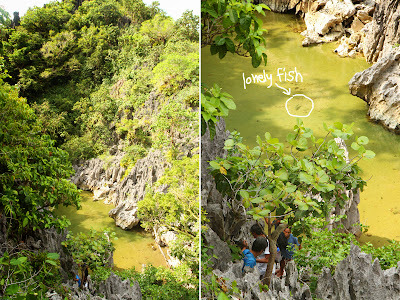 A lonely bangus in a lagoon is not enough reason to climb the sharp limestone? Maybe this view is reason enough. Two jagged limestone formations connected by white sand equals two beaches. Lahos in Visayan means to pass through and through. Get the connection? Cagbalinad Island gives you a small and serene white sand beach and a little cave. A small island with large rock formations and a small beach. This island is named Minalahos because in the past this island was not given any importance. Remember the root word "lahos"? Was taking four years and a day to see all this worth it? I wish I had gone sooner. Before Survivor. Before the milkfish in Matukad's lagoon was killed. Back when the only way to get to Caramoan was by land. But then, it would probably have taken me longer than 10.5 hours to get there. The town of Caramoan is on the mainland. From Naga City, it would take two hours to get to Sabang. 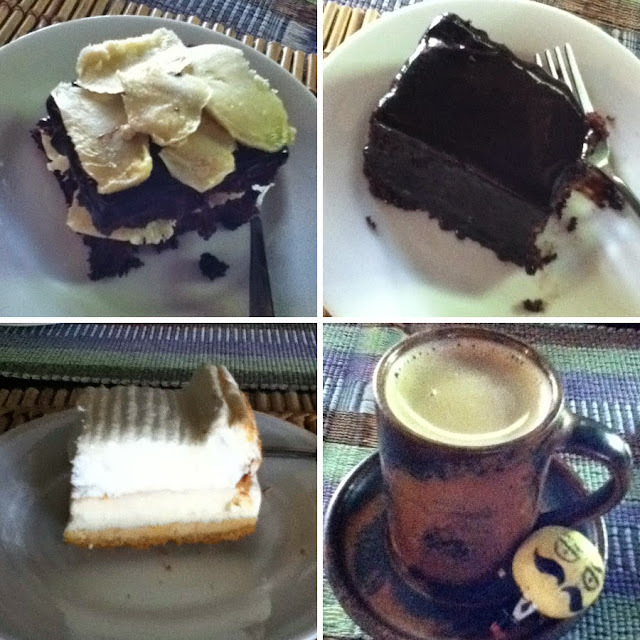 From Sabang, another four (or was it six? I forgot) hours on rough road to Caramoan. But when pumpboats came to ferry people in just two hours, the buses were left to rust in town. 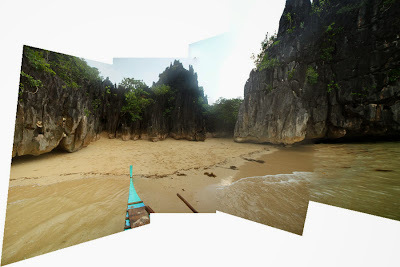 It took me a looooonnngggg time to get to Caramoan. It took me four years and a day. In 2009, I was going to fly in to Legazpi City in Albay and then take the long road to Caramoan, but Mayon started acting up and when alert status was upped to level 2, I ditched the plan and it took me another four years to get to Caramoan. Correction: four years and a day. A day...spent getting from Legazpi City to Caramoan. Caramoan is actually not that far. It was the waiting that made Caramoan seem far. 1015 Sabang port! 45 minutes until the next boat trip to Caramoan. From Legazpi City, take a van (1.5 hours, Php 140) or bus to Naga, Camarines Sur. Get off at Atayan, Pili, Camarines Sur. At Atayan, Pili, get on a bus for Goa Terminal (1 hour, Php 49). At Goa Terminal, ride a jeepney to Sabang (20 mins, Php 22). 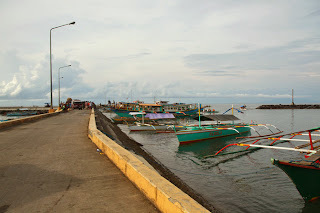 At Sabang Port, cross the floating bridge (Php 10) to get on the boat bound for Guijalo Port (2 hours, Php 120). Schedule are as follows: Sabang to Guijalo 530AM / 7AM / 9AM / 11AM / 2PM. Guijalo to Sabang 7AM / 8AM / 9AM / 11AM. Note that schedules are not strictly followed. If there are only a few passengers, sailing will be delayed. 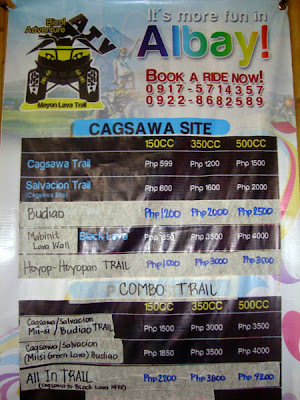 If you're staying in Caramoan Centro, from Guijalo Port, take a tricycle to Centro (10 mins, Php 20/pax). If you're staying in Paniman Beach, from Centro, hire a tricycle to Paniman Beach (20 mins, Php 150/tricycle). If you're in a hurry, you can hire a tricycle from Guijalo Port straight to Paniman Beach (30 mins, Php 300/tricycle). 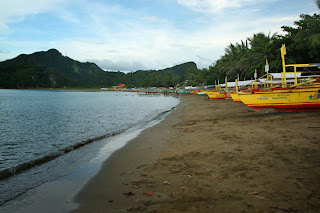 There are places to stay in Caramoan Centro and in Paniman Beach. I opted to stay at Paniman Beach, in Kuya Ramil's house (Php 300/pax since I just used the fan; it's Php 500/pax if you want to use the AC). For big groups, the entire house can be rented. It can fit up to ten persons. You can ask Ate Myrna (Ramil's wife) to cook, or spare her the trouble by eating at a nearby resort, or buying food just a few paces away. 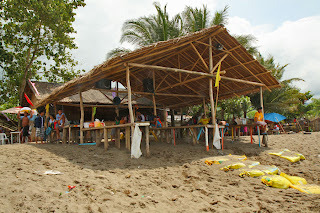 For drinks and snacks, there are a number of sari-sari stores around Paniman Beach. 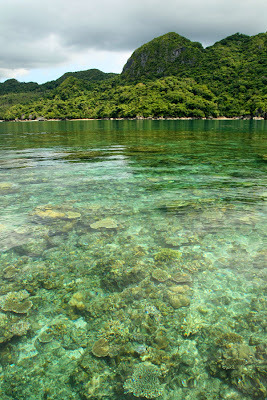 Island hopping, which, I bet, is your main reason for visiting Caramoan, can be arranged thru Kuya Ramil. The different Survivor franchises that have filmed in Caramoan have helped the residents of Caramoan by providing jobs. With the money Kuya Ramil earned working as a speedboat driver for the different franchises, he was able to build his concrete house and acquire a number of pumpboats. According to Kuya Ramil, Survivor USA will start filming again on March 2014. Ramil and Myrna Cruel (homestay/island hopping) 0907 435 1962 — Don't be fooled by their family name. They're actually good people. Here's Mustachio's first guest post written by Alex Siborn. 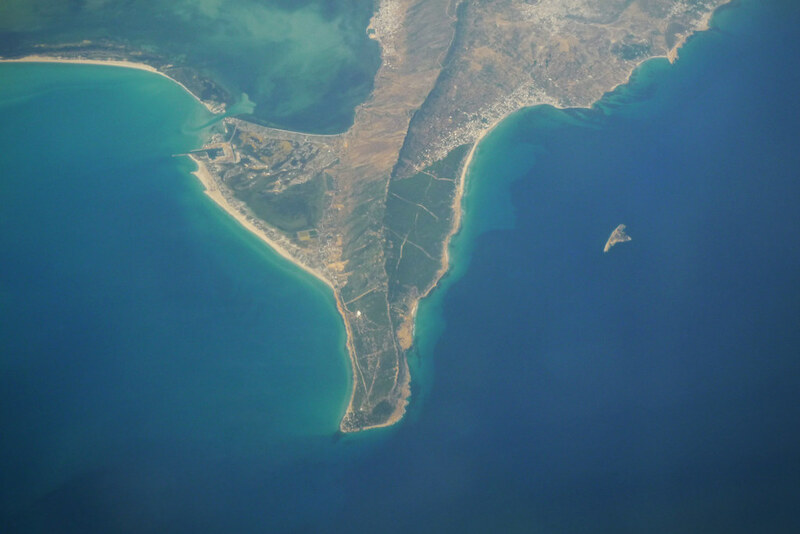 If you're thinking about a family getaway this year, why not consider a holiday in Tunisia? As family holidays go, this gorgeous corner of North Africa is alive with so many wonderful family holiday experiences. For kids, Tunisia's coastline is perfect bucket and spade territory. There is an abundance of soft golden sands and shallow sparkling shores which makes it ideal for little paddling feet. Watch as your kids splash about in the shallows, sink their toes into silky sands for the first time or play happily under the shade of a parasol. Tunisia's coastal regions are well geared up for families and many hotels in the key holiday resorts offer all inclusive accommodation with fantastic on-site facilities. In the main resorts like Sousse or Port el Kantaoui you'll find plenty of family-friendly activities and child-friendly hotels. Many hotels here are sprawling affairs with a variety of pools, entertainment and on-site restaurants with extensive menus (perfect for little fussy eaters). There are plenty of kids' clubs too, offering a full programme of fun activities, games and sports lessons for children of all ages. Outside of the hotel you'll find plenty of things to see and do. Soak up the Tunisian culture by visiting the local towns and villages, or try your hand at haggling in a local market. Who knows, you might even come away with a bargain! There are many different watersports on offer, and boat trips are one water-based activity that never fails to keep the whole family entertained. Play at being Jack Sparrow and head out into the Mediterranean on a fun-filled 'pirate ship', or try out the submarine-style boats that take you beneath the waves to explore the Med's stunning underwater world and marine life. Whatever type of family holiday you're after, Tunisia is a fantastic holiday destination with plenty to see, do and experience for kids of all ages, and for holidaymakers from all walks of life. ...or maybe just half a lunch for the big eaters. I am talking about the triangle kimbap. Kimbap is the Korean version of sushi. 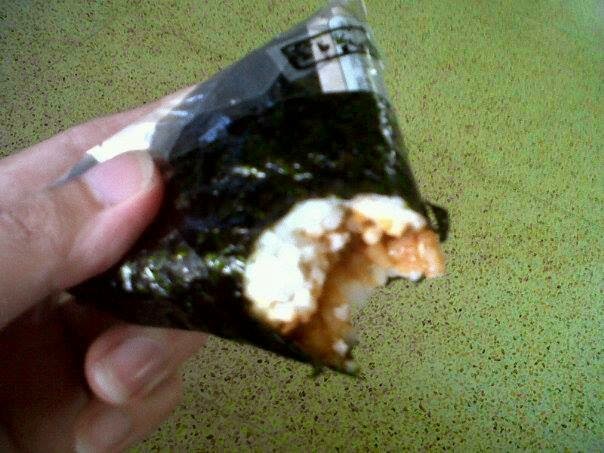 But this here is triangle shaped, thus triangle kimbap. The place where I found this sells three flavors: kimchi (fried kimchi with tuna oil), tuna (tuna, onion, and mayonnaise), and spicy (pork stir fried in hot pepper paste). I like the spicy one. Warning! Do not believe the poster. The thickness of their kimbap is just half of what's on the poster. The filling is about a fifth of what's on the poster. Hahaha :-)) But for a quick snack/lunch for Php30, it's not so bad. 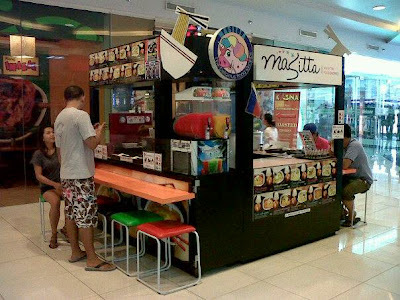 These triangle snacks/lunches can be found at the Masitta [0906 479 8000 / (032) 360 4874] booth in J Centre Mall is AS Fortuna, Mandaue City. It's on the upper ground level near LBC and SaveMore Supermarket. 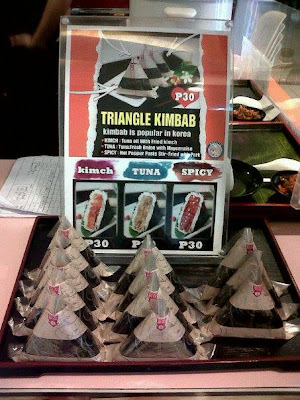 It is the only place in Cebu I found that sells triangle kimbap. If you know of other places that has triangle kimbap, please let me know! Thankyouverymuch. A half roll of brazo de mercedes at Casilda's Bakeshop sells for Php 135. The first time I discovered this was when Casilda's was named Bread and Butter Bakeshop (a half roll then cost Php 110). I am glad that when it turned into Casilda's, they retained their brazo de mercedes and made it even more beautiful, and, yes, just as delectable. The words of Agnes of Despicable Me sum up my view of Casilda's brazo de mercedes: "It's so fluffy, I'm gonna die!" It all started with a pic... a pic of a square of chocolate cake topped with durian slices. Thanks to an officemate whose hobby is to tempt his fellow officemates' sweet teeth. The following day, the photo of the cake still haunted my officemates and I. And four employees with dangerously large sweet teeth decided to hunt down the cake during lunch break. Abaseria, I read somewhere, is Spanish for sari-sari (Filipino word for "variety"). 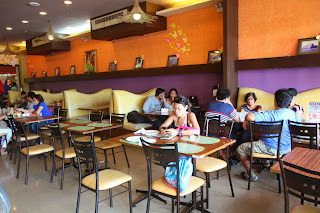 Abaseria Deli & Café is not only a deli and café, but also a store that sells delicacies from different Philippine provinces, furniture, home decor, bags, hats, accessories. It's sari-sari alright. I have been to Abaseria a few times, years ago. They have good food but too expensive for me (if I remember right, it's Php 180 above per dish) and I find their portions too small for the price. Good thing we ate a speedy lunch at the office before this hunt down. Back to what we came here for: the choco durian special (ah, so that's the name of that square of chocolate cake topped with durian slices). Two of my officemates ordered this. I stuck with plain old homemade chocolate cake because durian isn't really my fruit of choice. Another officemate (remember we were four) got the brazo ala mode. The coffee addict of the four also had a cup of durian coffee. Homemade chocolate cake — Yum! The cake doesn't crumble and the icing is perfect (not too thin and not too thick). My kind of chocolate cake. Durian coffee — Wow. I can taste the durian and it's not too strong. Can I have another cup, please? 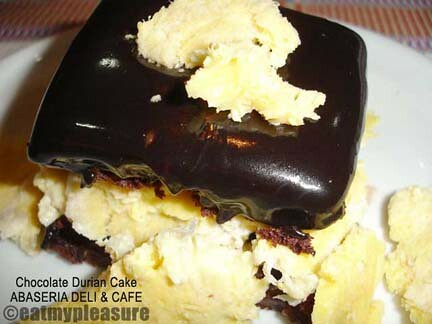 Choco durian special — Looks like the homemade chocolate cake cut horizontally in half to make a choco-durian sandwich with durian as filling and topping. Interesting taste, but I think I will stick to my homemade chocolate cake. Durian coffee — The non–coffee drinker says, "Tastes like coffee to me." Please don't take my word for it. I just noticed they have something called "Four Corners". I wonder what that is. Another reason for me to go back? My two goals in Albay were to eat Bicolano food (checked three times) and to see Mount Mayon (checked seven plus plus times). 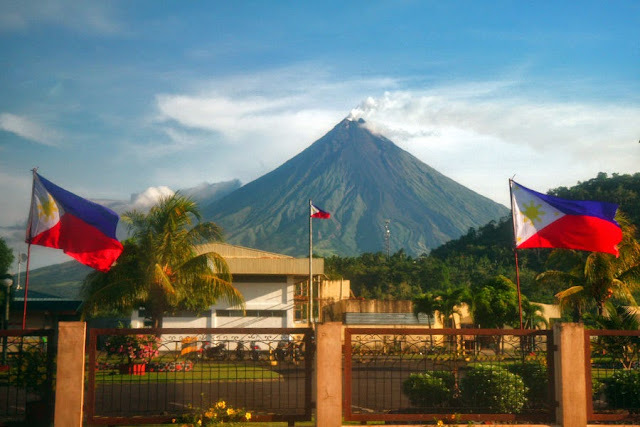 Albay welcomes every traveler flying in to Legazpi City with a view of Mount Mayon. Unfortunately for me, I was on the wrong side of the plane. 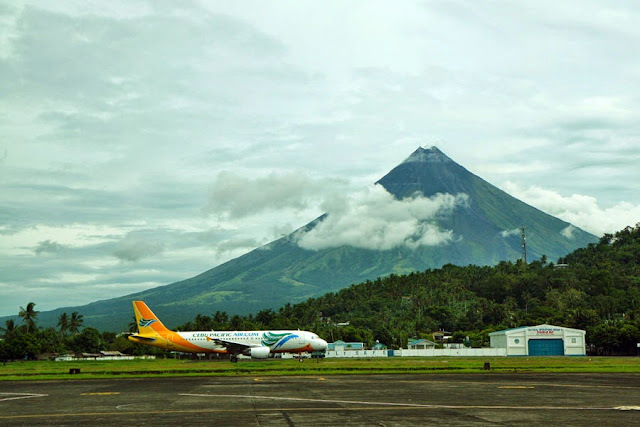 But no matter, at the tarmac, Mount Mayon provides a beautiful background to an otherwise boring foreground. A grand welcome to Albay. And when flying out of Legazpi City, a view like this makes waiting for departure time a lot less boring. Getting to and from Legazpi airport: Take a tricycle. It would cost Php 50 per tricycle going to the city center from the airport (and vice versa). The tricycle will take you straight to wherever it is you want to go, provided it's in Legazpi City. 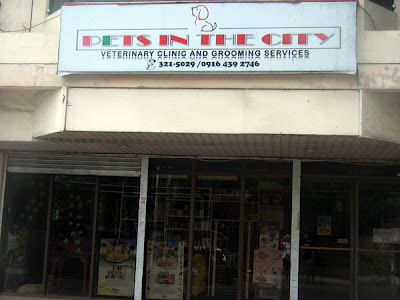 If you want a cheaper option, from the airport, walk about 400 meters to Washington Drive, and take a jeepney to the city (minimum fare is Php 8). Ligñon Hill is located just behind the airport, but I don't know if you can exit from the airport through a back door :-) The park is open daily from 8AM to 10PM (entrance fee is Php 20). It is open to joggers from 5AM to 8AM for free, all they have to do is jog jog jog all the way up up up the hill. Gawking at Mayon is not the only activity at Ligñon Hill. Getting to the hill is an activity in itself. 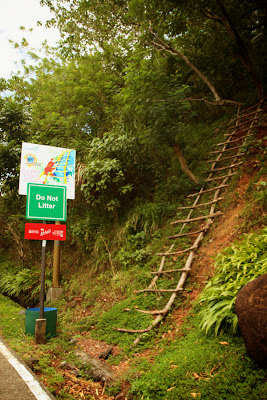 From the highway, you have to take an easy uphill walk to the entrance. After paying the entrance fee, you can arrange for an ATV ride (Php 1800 for a 150cc ATV) and then visit the Japanese tunnel (for a fee of Php 10) just a few meters from the entrance. 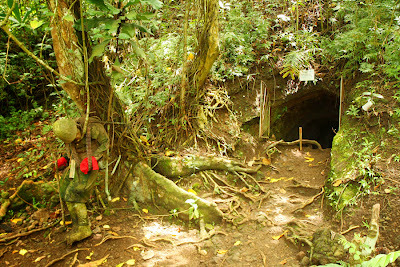 The tunnel was used by the Japanese as a storage area for ammunition during World War II. What's there now? Just a short, well lit tunnel with some sad–looking military–costumed mannequins. Other activities along the long and winding road (if you don't take the shortcut) are rappelling and crossing the hanging bridge. The road ends at the observatory which sits on top of the hill. The observatory houses souvenir shops, restaurants, and restrooms. Off to the side are two ziplines (Php 250 for the basic zipline and Php 350 for the "Superman" zipline). 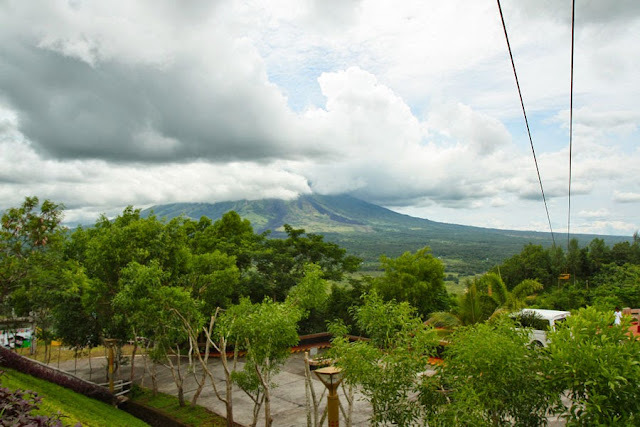 Surrounding the observatory are benches and green grass, where you can relax and gawk at Mount Mayon to the north. Your main purpose in visiting Ligñon Hill, I suppose. If you get bored staring at Mayon, you can go to the opposite side and look at airplanes land or take off with Legazpi City as the background. Going to Ligñon Hill: If coming from Legazpi City, take a Loop 1 jeepney (fare is Php 8). You guessed it. 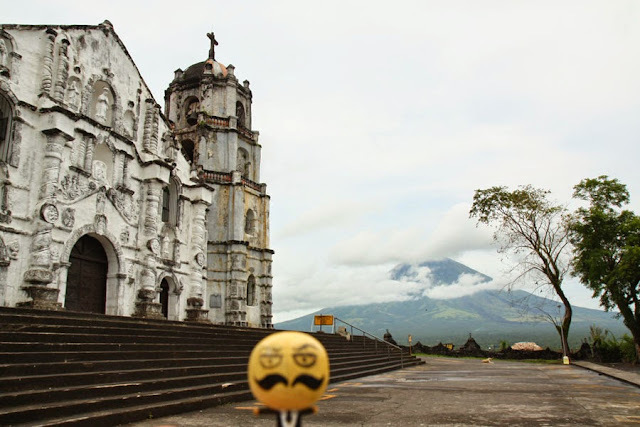 I came here to see Mount Mayon and, I'm ashamed to say, not the church. 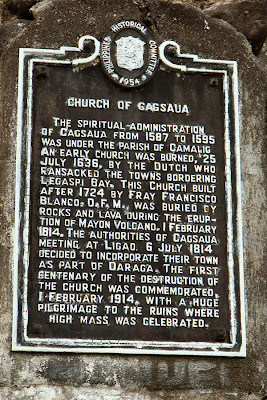 From what little information I read on the sign outside the church: Daraga Church was built by the Franciscan missionaries in 1773. You can read more about the church here. 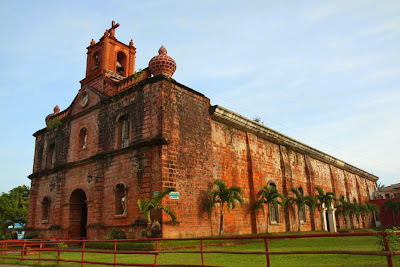 Going to Daraga Church: Take a Legazpi–Daraga jeepney and tell the driver you're going to Daraga Church. From the main road it's a short uphill walk to the church. 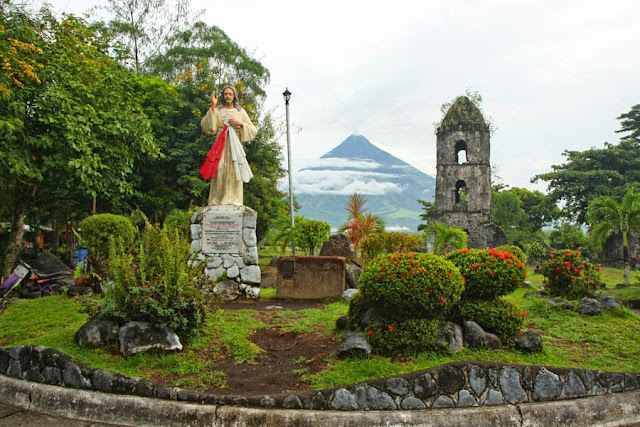 I have seen many photos of an old bell tower with Mayon in the background and I bet you have, too. This is Cagsawa Ruins, a popular tourist stop in Albay. Just before the gate to the ruins, souvenir shops abound. Entering the gate will entail a fee of Php 10. Beyond the gate are more souvenir shops and what remains of Cagsawa Church after the 1814 eruption of Mount Mayon. It is best to go really early in the morning, say 6AM, when Mayon is most likely to show herself. 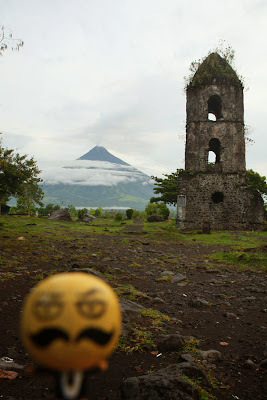 There's really not much to do here but see Mount Mayon and have one of the photographers take silly pictures of you. The photographer won't ask for a fee but will expect a donation. Going to Cagsawa Ruins: Take a jeepney going to Guinobatan/Ligao City/Oas/Polangui. From the highway, it's a short 500–meter walk to Cagsawa Ruins. But on a hot day, instead of slowly sweating for 500 meters, you might want to take a tricycle (Php 10 per person). 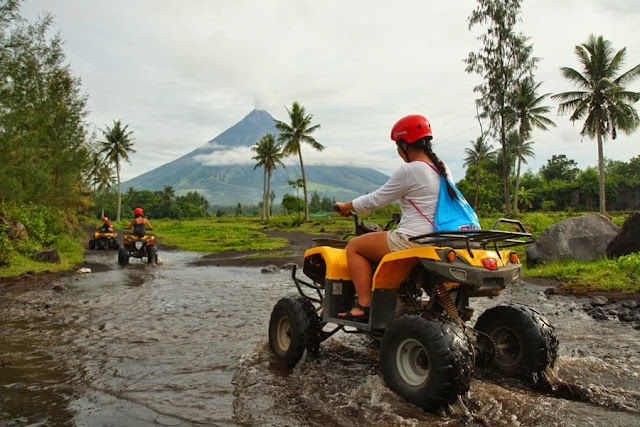 They say a visit to Albay would not be complete without an ATV ride. There are a few tour operators offering ATV rides. It was when I was walking to Cagsawa Ruins that I noticed so many ATVs parked in rows. Ah, the headquarters of Bicol Adventure ATV. This is a pretty expensive activity. All you do is drive around in a little ATV over rocks, streams, grass, mud. Go uphill, downhill, left, right. Take wide paths, narrow paths, no path. And in the end, feel your right hand go numb from squeezing the brakes and gripping the handle for three hours (depending on the trail; choose a shorter trail for a less hand–numbing experience, or better yet, don't use the brakes. Haha). Oh, and the reward? 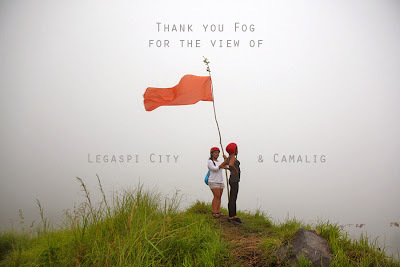 A majestic view of Mayon, Legazpi City, and Camalig (Mi-isi Green Lava trail)—if it's not blanketed in fog. Yes, Embarcadero de Legazpi is a mall. A mall with a view of Mayon. On my last day in Legazpi City, with nothing else to do, I decided to go to Embaracadero to stalk Mayon, yet again, and then have dinner. 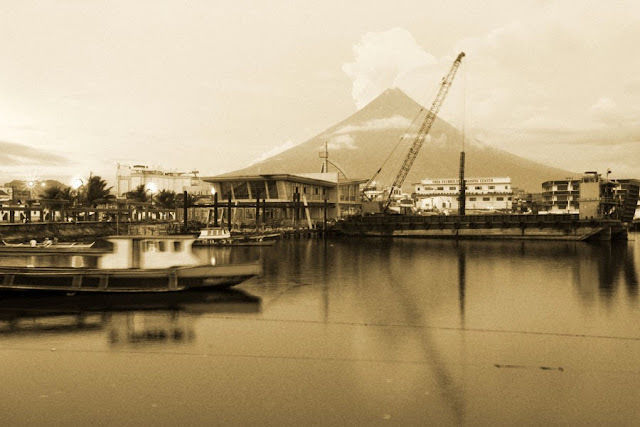 Going to Embarcadero de Legazpi: Take a Legazpi–Daraga jeepney. The driver will know where to drop you off. Then it will be a 10–minute walk to the mall. If you're too lazy to walk, look for jeepneys plying Daraga–Tahao Road–Arimbay. Heading north on a van to Pili in Camarines Sur from Legazpi City, I waved goodbye to Mayon from my window. 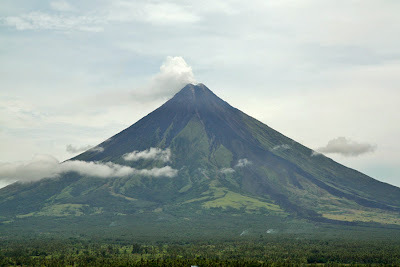 In Albay, I had two goals: eat Bicolano food and see Mount Mayon. Goal number one? Checked. Three times. 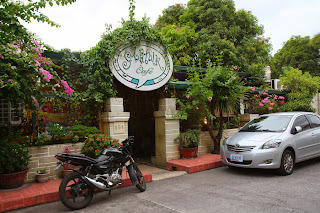 Thanks to friends who have been to Albay for suggesting these restaurants. Objective: Try 1st Colonial Grill's strange flavored ice cream. Strange in that the flavors are not your usual chocolate/strawberry/vanilla variety. On the table: In addition to three scoops of ice cream (Php 79) of different flavors—tinutung, malunggay, and pili—this hungry man also had lunch of tinutungang manok (Php 239) and tinapa rice (Php 35/cup). Of all the items on the menu, why these: My lunch choices were thanks to a brochure I picked up at the airport. I heeded its advice—any form of advertising works on me, haha. Tinutungang manok is "chicken stewed in coconut cream extracted from slightly scorched coconut milk that infuses a distinct smoky flavor." Tinutung means burnt. 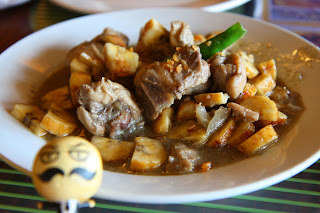 Tinutungang manok had bananas which I found unusual but went well with the overall flavor of the dish. Yes, I liked the tinutungang manok though I found it expensive. I am not sure if the cup of tinapa rice is any different from the platter in terms of taste but the photo on the menu of the platter of tinapa rice had salted egg, green mangoes, and tomatoes, while I couldn't find any of these in my cup(s) of rice. 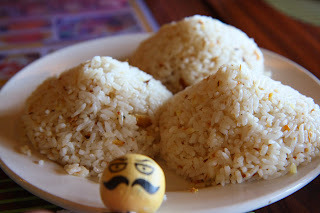 The rice, for me, wasn't any different from other tinapa rice I have tried. My tinutungang manok would have been more compatible with plain rice. And the main reason for eating in 1st Colonial Grill: ice cream! There were five flavors to choose from: sili (chili), kalamansi (Philippine lemon), malunggay (moringa), tinutung ("burnt" rice), and pili. Although 1st Colonial Grill is known for its sili ice cream, I skipped this since I have tried it from another ice cream shop (the hotness comes as an aftertaste and yes, it is hot!). I would have wanted to try kalamansi (I like lemon) but my brain chose vegetables, grains, and nuts, over fruits. Malunggay ice cream was alright. Not something I would really crave for. Tinutung na ice cream—imagine burnt rice turned into ice cream. Interesting! 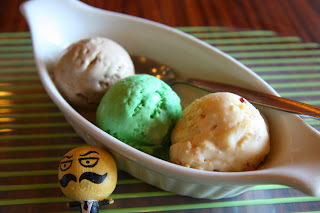 But of the three flavors, I liked the pili ice cream best because I like pili nuts. Biased much. Would I recommend 1st Colonial Grill? Yes. For the ice cream. 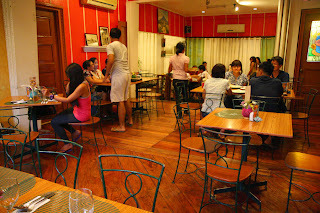 Objective: Try the Bicol inspired pasta and pizza. On the table: A lot! Please see photos below. Of all the items on the menu, why these: Because of the following keywords: Mayon, Bicol Express, and pili. I should mention that I did not eat all these in one sitting. I liked their affordable food so much that I had to go there again. Let's talk about the pasta. The descriptions according to Small Talk Café's menu: Pasta Mayon (Php 105) is pinangat/laing stuffed in ravioli pasta with red tuna sauce. Bicol Express pasta (Php 105)—alamang (itty bitty shrimps), sili (chili), gata (coconut milk) sauteed in garlic. And pili basil pasta (Php 120)—garlic, roasted pili nuts, fresh basil. I couldn't really taste the pinangat/laing of Pasta Mayon. Bicol Express pasta was so spicy it made my eyes water. Even if I had to drink five glasses of their iced tea (thankfully, it's bottomless) to try to keep the tears at bay, I loved it! 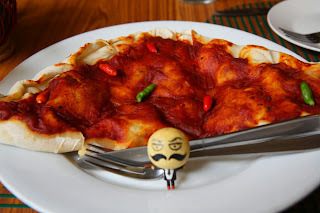 I liked the pili basil pasta because of the pili nuts! Haha. Again, I'm just biased. Of the three, I liked Bicol Express pasta best, and Pasta Mayon least. The Fiery Mayon stuffed pizza (Php 265) is stuffed with laing, Bicol Express, tinutungan na gata (smoked coconut milk), and Guinobatan (a town in Albay) longanisa. A winner! To wash away all the chili, desserts! Rum cake with pili (Php 60) was too buttery for my taste. I could only eat a third of it. I think the pili pie (Php 50) is one of their best sellers... on the basis that on my first visit, they had run out of stock. Would I recommend Small Talk Café? Yes! Good food that's affordable. Appetizers start from Php 65; snacks from Php 45; pasta from Php 95; pizza from Php 215; vegetables from Php 45; chicken/beef/pork/seafood from Php 115; desserts from Php 22; and drinks from Php15. 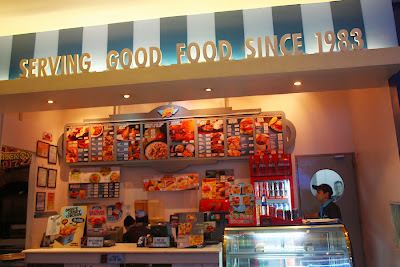 Objective: I read somewhere that Bigg's Diner is the biggest and best food chain in Bicol. Wanted to know what the fuss is all about. On the table: Baby back ribs (Php 214), chicken cordon bleu with laing (Php 187), and pineapple juice (Php 47). 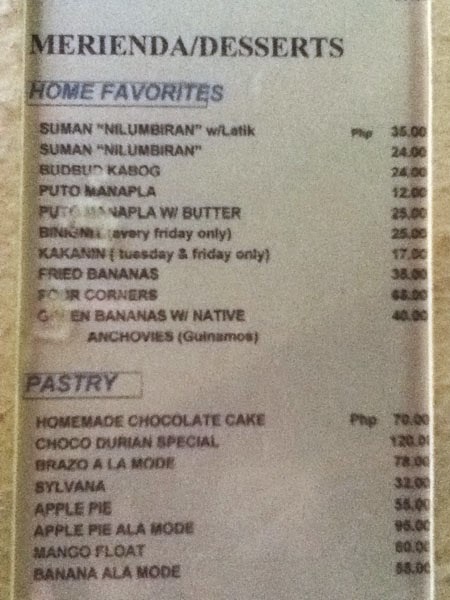 Of all the items on the menu, why these: According to the cashier one of their bestsellers is baby back ribs (Php 214). Dear Cashier, Are you sure this is a best seller? Their baby back ribs, for me, was nothing special. I can get tastier and bigger servings of baby back ribs in Cebu for much less. I decided to have chicken cordon bleu stuffed with laing (Php 187)...because of the laing. I found the chicken cordon bleu too dry. Boo. 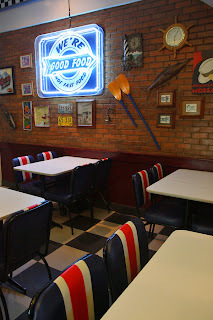 Would I recommend Bigg's Diner? No. I wasn't impressed with the food. Top it off with high prices (meals cost from Php 72 to Php 214). No, thank you.